The folks at Mizuno Running are at it again, this time bringing you the new Wave Rider 17, which is suited for the neutral runner who is looking for a high mileage training shoe that is also light enough to race in. The first thing that impressed me when I put them on was the roomy toe box. There was plenty of support there, but without feeling tight or narrow. The Men's version weighs in at 8.8ounces, and provides a nice cushion for everyday training. The upgraded sock liner really makes for a comfortable fit as well. The first test run was with my morning run group I lead from the gym. We ran the three mile loop at an easy pace and the Wave Rider felt great! Very smooth feel and on the hills it had some nice flex and responsiveness. 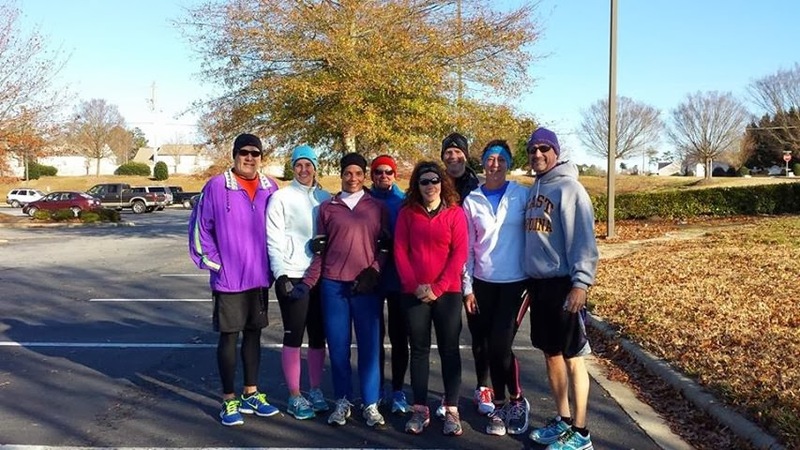 The next test run was a nice chilly and windy run on Sunday. The route had some nice hills and I was interested to see how the Wave Rider felt over a longer distance. After a slow start, my running partner Hannah and I warmed up and found our groove. 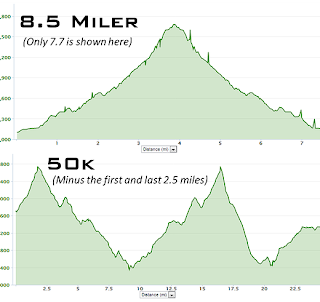 We wound up with a nice negative split run, even with the hills on the back half of the route. Even with the wind and cold, my feet felt fine and the upper mesh provided plenty of breathability without making my feet cold. Once again, they felt really good on the climbs, especially when I was digging in and striking aggressively on the fore foot. My feet felt good during and after the run, no discomfort or "hot spots". I ran in the Wave Rider again Thanksgiving morning, as I met up with some friends for an impromptu "Gobble Hobble". What was supposed to be an easy three miler turned into a harder 5 mile run! We fought off the 25 degree temp at the start and had a great run, talking and laughing as we wound our way through downtown. The last 2 miles some folks started feeling frisky, so the pace picked up. We were running at a good clip at that last mile, and the Wave Rider gave me some great cushion and support as we pounded our way to the finish of the run! Me and the crew after the run. You can see those shiny white Wave Riders in the back! I am very impressed with the Wave Rider 17. I look forward to logging my road miles in them over the winter as I ramp up for the 2014 racing season. If you are looking for an every day training shoe with some good support and nice cushioning, I would definitely recommend checking them out! Some nice grip on the soles as well! My ultra travels took me to Sky Valley, Georgia on the 9th of November to run the Georgia Sky to Summit 50K, tucked away in the beautiful North Georgia countryside, just across the border of North Carolina. 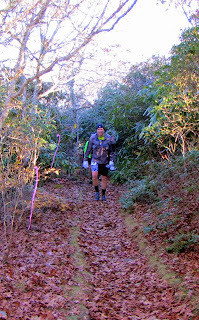 The weekend before I was at Pinhoti 100, helping crew/pace for my friend Jen, ( Read her race report here: http://ultrarunnerjen.blogspot.com/2013/11/pinhoti-100.html) which definitely got me pumped up for this race! The course had a bit of everything, climbs, water crossings, water falls, a lot of single track and a few miles of road thrown in too. Oh, and also 12,000 feet of elevation change! The 50K started at 7am. There was also a 8.5 mile run that started at 8am. The temperature was rather chilly in the morning, as I had to "de ice" the car in the hotel parking lot. It was a quick 10 minute drive from the hotel to the start, which was glorious! A little bit after 7am, after a short race briefing from the RD Sean, we set out. We would run on the road for about two miles and then get on the trail. We were climbing right from the start, so the cold was not an issue. We would summit Rabun Bald (The 2nd highest summit in Georgia, at 4,700+ feet) twice. I took my time on the first ascent, power walking most of the climb. We then bombed down along a nice ridge line for a few miles. I was running in the middle of a pack of about ten runners, all of us bunched together. Thankfully, no one fell, or we would have all piled into one another. A guy at the front did stumble and go down once we had reached a flat section, but by then we had slowed a bit and everyone was able to avoid a pileup. We then were up and down for a while on a bit of technical and rocky trail. I was feeling good, although I was concerned that I had "Burned a match" running hard on the downhill section and used a bit more energy than I should have. I was seeing the leaders now, on their way back from the turnaround, and they looked strong. 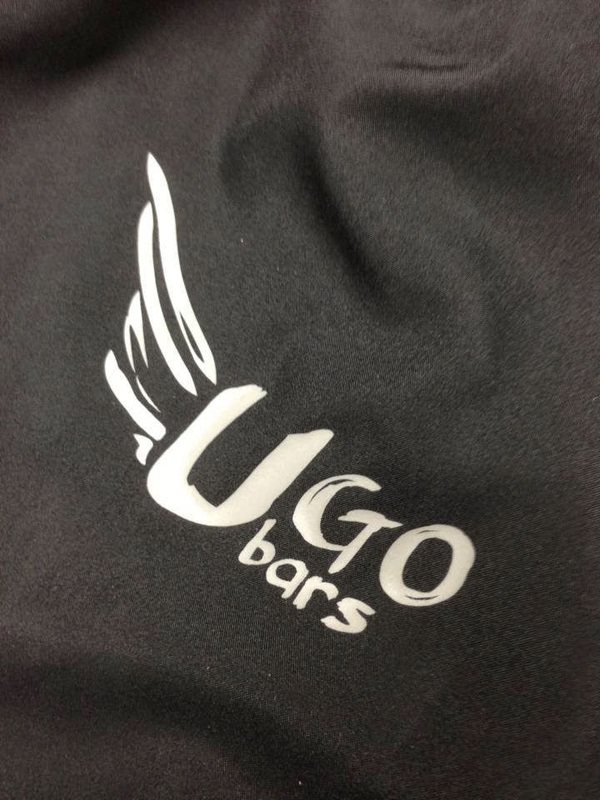 I began to see more and more runners, and their shouts of encouragement spurred me on. I had now arrived at the calf deep water crossing, and since there was no use in trying to tip toe around it, I plowed right through. The water was cold, but it actually felt good on my feet. I crossed another small creek and then hit the aid station at the turnaround. I grabbed a quick bite to eat, refilled my hand held and headed on my way. I crossed back through both creek crossings and tried to settle into a rhythm, knowing I would have to climb up to Rabun Bald again soon. I was relieved to see there were a fair amount of runners behind me, who I now passed by on their way to the turnaround. I was in between two packs of runners now, and would wind up running the second half of the race pretty much by myself. I kept grinding away, churning up to the summit of Rabun Bald for the second time. The course went back a different way after the summit, and there was a wicked, technical descent for about a half mile. This section really hurt! I took my time and finally got to some runnable sections and pressed on. What had started out as a bright sunny day had now turned to overcast skies as I came out onto Forest service road, which gradually wound it's way up for what seemed like forever. I finally got off the FS Road and back onto single track. I knew there was a final aid station right before we got back on the road with two miles to go, but it seemed like it took an eternity to get there. A light rain had started to fall now, and I was ready to get this race finished! I was passed by a few folks on that last single track stretch, and wound up catching up to a guy at the last aid station. We trotted out of the AS together, and began the quad searing descent down the gravel and paved road to the finish. It was good to talk to someone after those couple of hours of solitude! Gregg, it turned out, had hip replacement surgery over the summer, and now was running a 50K, which impressed the hell out of me. Great guy. He will be running the Bartram 100 on December 14th! Gregg and I at the finish! I had made it. It was the longest time it had ever taken me to do a 50K, 8 hrs 47 mins. It made me realize just how flat we are here in the Raleigh area. We have a few hills, but that's about it. I have really come to enjoy running the more challenging races and look forward to training and running more in the mountains in 2014!